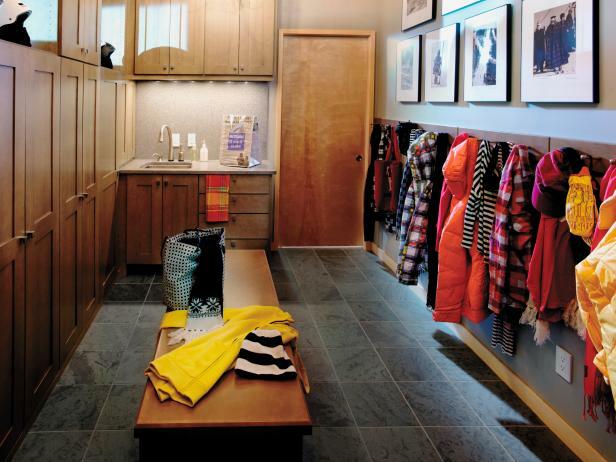 When planning a mudroom, carefully consider your personal needs. 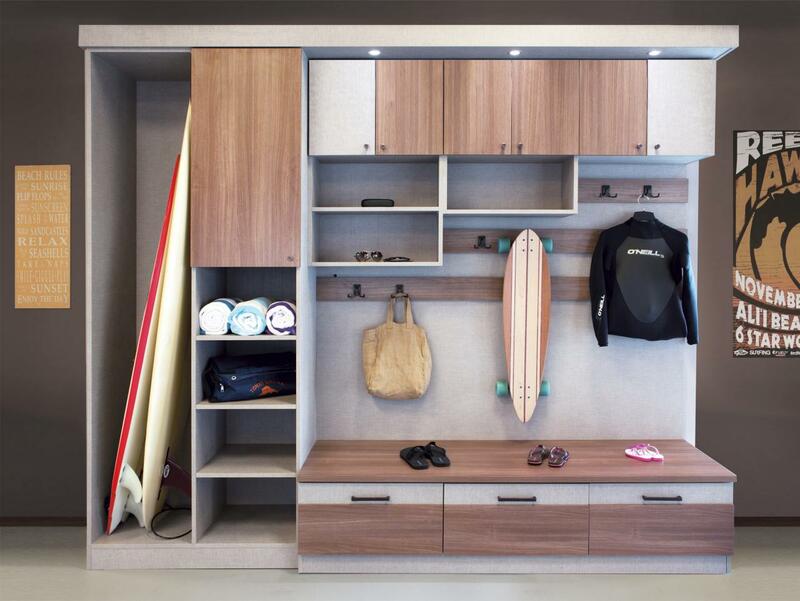 For some, a mudroom designed for keeping the family organized is the top priority. 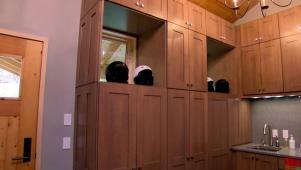 For others, a mudroom with good storage solutions for a favorite hobby like golf or gardening is the main objective. 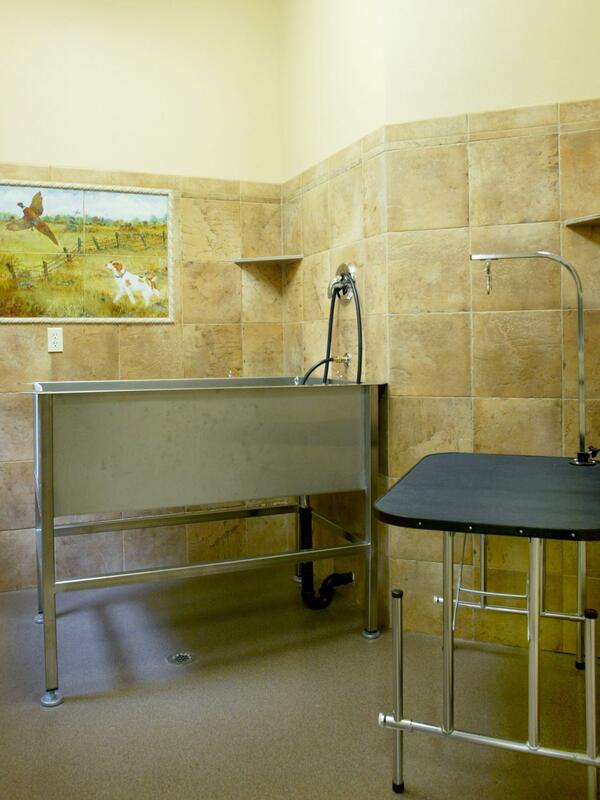 Or maybe you need a designated spot for all the pet supplies and accessories that are scattered all over your home. 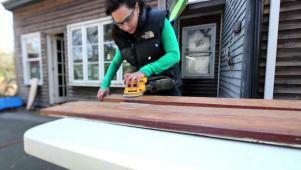 See how a new mudroom with custom touches greatly increases a home's value. 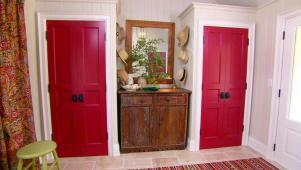 The mudroom and powder room receive a welcoming and cheery makeover by Sarah Richardson. "It's really all about mixing and matching your storage solutions," says architect Deborah Pierce of Pierce Lamb Architects and author of the book The Accessible Home. 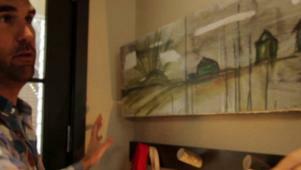 "The design of your mudroom should be about problem-solving, but you can be very creative too." 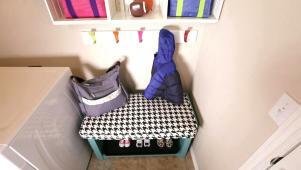 Here are ideas on how to create the right design and storage for the most common types of mudrooms. Photo courtesy of JS Brown & Co. Including flexible storage solutions is key for a mudroom created for keeping all members of the family neat and organized. 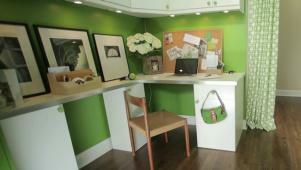 If you have the space, include a desk with a message center to keep flyers, mail and coupons off your refrigerator. Professional organizer Amanda LeBlanc, a national spokesperson for Organized Living, suggests including a labeled basket or bin for each person in the house to hold the season's essentials. For example, flip-flops, sunscreen and sunglasses in the summer, and gloves, hats and scarves in the winter. For her own home, LeBlanc has hooks labeled with the different days of the week so everyone know what bags, clothing items and accessories they need as they head out the door. If your home has athletes, Pierce suggests using a hinged seat for storage of basketballs or footballs and tucking a folding chair under a bench or in a locker that you can grab as you head out the door to watch your kids at their soccer game. Seating is also important for putting on or removing sneakers or skates. Open and closed lockers are a traditional storage solution for sports-minded mudrooms, but hooks alone also work for uniforms. Trunks are another alternative for storing balls, and color-coded bins are a great way to organize and store clean and dirty uniforms. If you spend lots of your time gardening, include a potting sink in your mudroom that allows you to water plant containers. Choose a user-friendly sink with a wall-mounted faucet, and make sure to have labeled drawers and shelves for extra containers, fertilizers, gardening gloves and tools. Wall hooks are a great way to store tools and aprons, keeping them accessible and visible. 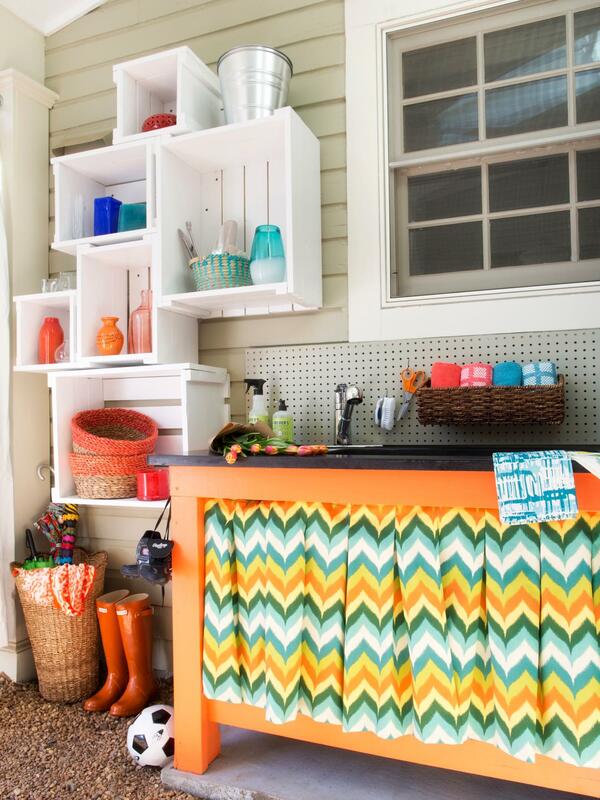 A potting bench with drawers gives you the place you need for seed-starting or potting plants. Include a comfortable padded floor mat below to help you avoid back strain. Consider a boot tray to dry the shoes, clogs or boots you use in the garden. 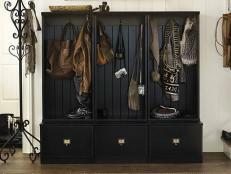 A freestanding coat rack can be another nice addition to store and dry sweaters, wet raincoats or overalls. If you love your pets but not all the leashes, food containers and treats that overwhelm your home, use your mudroom to bring order to the chaos. Hooks are nice for hanging leashes and collars, while labeled bins and baskets keep all the pet toys safely off the floor. Use bins or baskets to store pet shampoos, and small containers in drawers (with locks, if children are present) for any pet medications. To avoid unpleasant smells from overwhelming your mudroom or adjacent living area, decant dry pet food and store in a closed container either on a shelf or in a full-extension drawer. If litter box odors are a concern, locate the box in a lower cabinet with an added cat door. 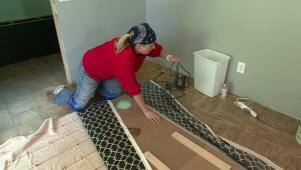 Get tips to eliminate clutter and organize what you have to utilize your mudroom in the best way.